Subtropical vibrant St Lucia Estuary is situated on a peninsula between Indian Ocean and estuary of iSimangaliso Wetland Park. 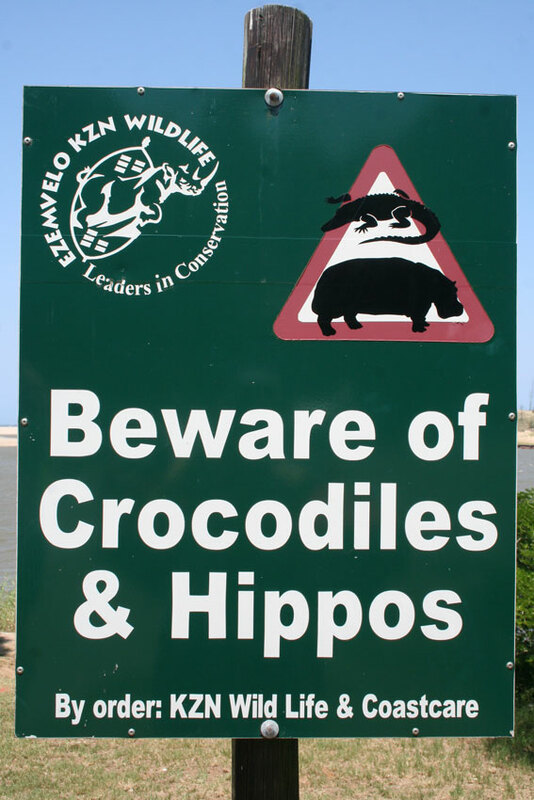 Famous for several reasons: as The Gateway to real nature (safari parks, marine world), its lush vegetation including roaming hippos looking for grass at night, beaches, birdlife and small animals. All year round the bustling main road has plenty cosy restaurants, shops etc. Khula Village is a nearby Zulu village that provides visitors an opportunity to get an insight into the (current) traditional culture of the area. St Lucia Estuary is part of the iSimangaliso Wetland Park, Kwa-Zulu Natal’s coastal World Heritage Site. It is made up of an array of natural lakes that stretch out over 220kms. It is the last pristine subtropical area and largest wetland in Africa. The park is characterised by a broad diversity of wildlife, marine animals and bird species. Within the park, you’ll find a large number of nature reserves (government and private), which stretch out into bordering countries. The weather in St Lucia is sub-tropical, with sunny skies throughout the year, making it the perfect all-year-round holiday destination. The temperatures in Summer range from 20 °C at night to 32 °C during the day. Summertime is the wet season and in January and February, you can expect quite hot and humid weather. Winter is the dry season, with temperatures ranging between 15 °C at night and 25 °C during the day. Please also note that the entire area of St Lucia Lake, as well the Hluhluwe / iMfolozi Park is malaria free.